COMMENT: When he came into power, President Mnangagwa promised a new beginning. He, among other things, promised peaceful, free fair and credible elections. But as I write, we are in the midst of another retrogressive election outcome. Almost all shops in town are closed. People are afraid of going to work. And police is resorting to use hailers, urging people to come to work. An election that had been touted to usher a new dispensation has ushered a new era of uncertainty. As we see it at The Sentinel, the root cause of the country’s seemingly perpetual crisis is a flawed electoral system that continues not to be addressed for ZANU PF’s convenience. Ever since 2000, the ZANU PF hegemony has been facing imminent collapse from the challenge that MDC has continued to present. In full realisation of the implications of the MDC challenge, former President Robert Mugabe declared after being defeated by the late Morgan Tsvangirai in the 2008 elections that ZANU PF had been caught napping and would never be caught napping again. Unfortunately this realisation did not translate into policy and cultural transformation of ZANU PF. The so-called revolutionary party resorted to a crassly manipulative route. The inordinate delay in the release of the 2008 election results was one of the many footnotes that pointed to this new wave of a more tightened authoritarianism. 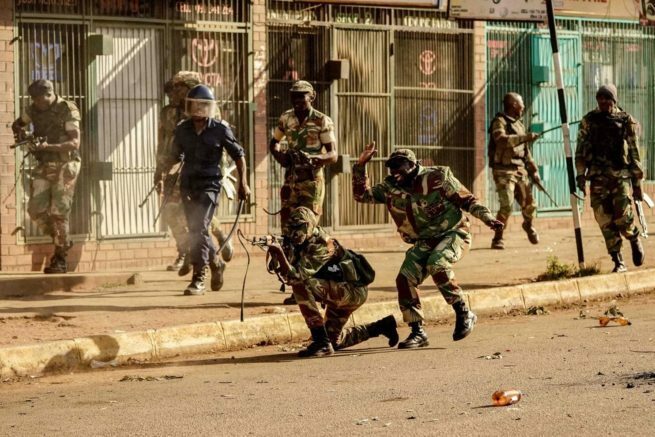 As part of the new arrangement, and with flashes of competitive authoritarianism, the Zimbabwe Electoral Commission (ZEC) had to be specially aligned to the hegemonic interests of ZANU PF. Ever since, we have failed to have reasonably free and fair elections. This is our continuing problem. We may never be extricated from it as long as ZANU PF is not in position to transform its cultural framework to one that can help transform the economy. When Mugabe was ousted in November last year, the thinking among many was that we were at a threshold of such a cultural transformation. Little did many realise that this is not about an individual. It is about a system. A system that thrives on counter-progressive patronage. A system that worships power for power sake; indeed a system that holds onto power at all costs and by any means possible. This sought of system cannot bring about free, fair and credible elections. It can only pretend and resort back to its inborn tactics and tendencies when power is at stake. And this is where Zimbabwe is. Contrary to expectations, the MDC is alive and well. It has continued to pose a potent hegemonic threat. The people seem to doubt the ‘new dispensation’. And ZANU PF cannot help but turn to its authoritarian DNA. This will not help in turning around the economy and guaranteeing stability in the long-term.